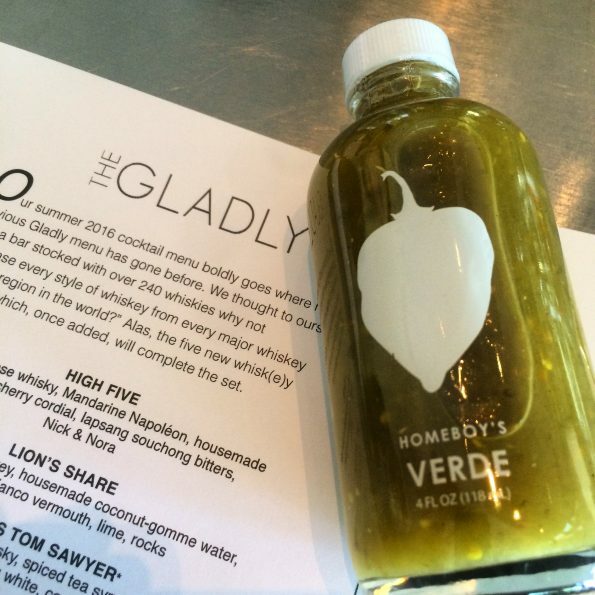 Recently we attended the preview for The Gladly‘s new cocktail menu and the launch of Homeboy’s Verde Hot Sauce (which was so good that the only photo we took of the bottle was on our phone but have plans to discuss how absolutely amazing this sauce is in its own blog). 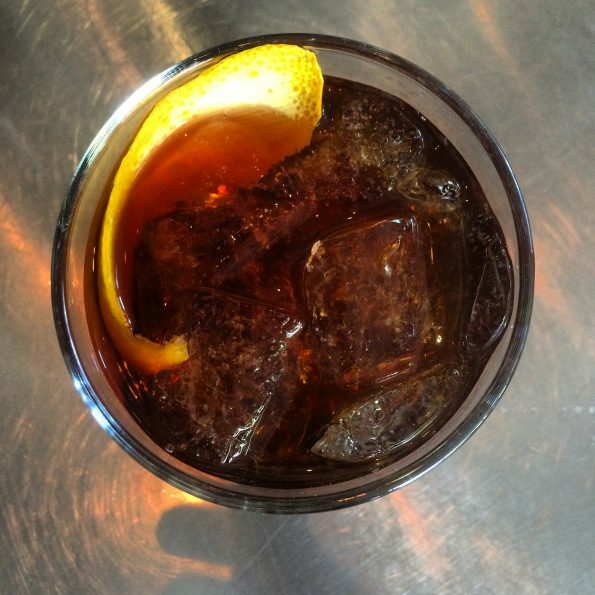 60% of The Gladly’s new menu is whiskey based (which includes bourbon, scotch, Canadian whiskey, etc.). The cocktail menu now boasts a cocktail featuring every style of whiskey from every major whiskey distilling region. This was done with the goal of exposing non-whiskey drinkers to cocktails they may have otherwise not tried. 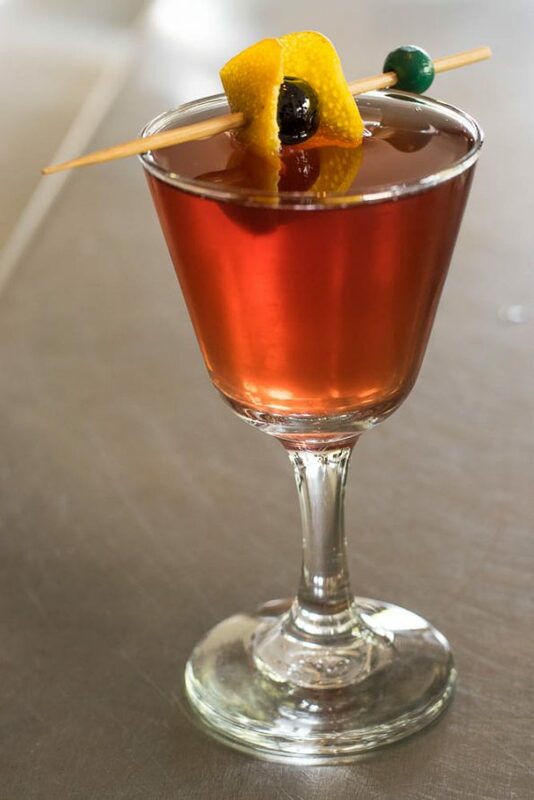 With today being National Bourbon Day, we thought that this was the perfect opportunity to highlight 3 of our favorites from The Glady’s new cocktail menu (2 whiskey based and 1 gin based)! High Five- The High Five is made with Iwai Japanese whisky, Mandarine Napoléon, house-made Riesling-cherry cordial, and lapsang souchong bitters. Served in a Nick and Nora glass (named after actors that were popular in the 1930s), this cocktail is a great way to expose someone to Japanese whisky. The smokiness and tea flavor of the lapsang souchong bitters adds a uniqueness to this whisky cocktail. Coffee and Cigarettes- In our opinion, the Coffee and Cigarettes is the most interesting whiskey cocktail on the menu. It is comprised of Glenmorangie 10 year single malt Scotch, Turkish amaro, ruby port, Benedictine, and Angostura bitters. It is reminiscent of an Old Fashioned but about a million times better. It’s hard to describe exactly what makes this drink so fantastic but it is really amazing. It tastes like what you’d imagine a gentleman’s study to smell like. Dapper Daisy- Maybe we are biased, but a cocktail that is inspired by The Great Gatsby must be featured on this list. It doesn’t hurt that it is also gorgeous and tastes as good as it looks. 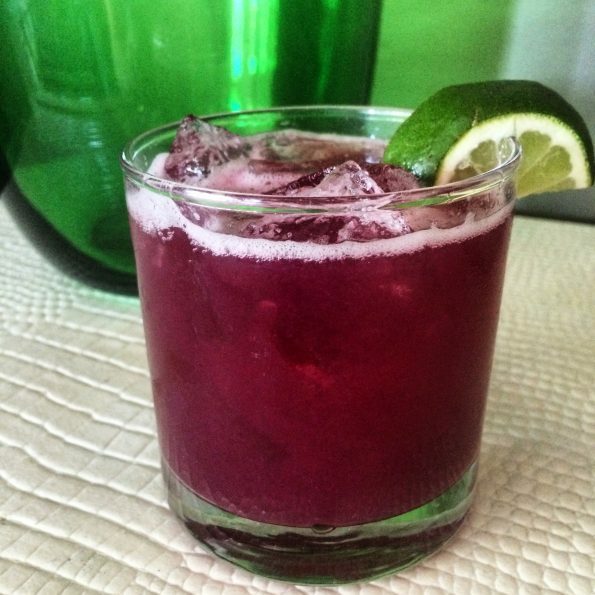 The Dapper Daisy features Hendrick’s gin, house-made blackberry syrup, aquavit, pineapple, and lime. This cocktail is perfect for the Arizona summer when you want something light yet full of flavor. If the new cocktails aren’t for you (which would be hard to believe), The Gladly’s bar is stocked with over 240 whiskies. All of the cocktails on the new menu are out of this world good. We really hope the mezcal cocktail featuring Homeboy’s Verde makes it onto the menu at some point because it is truly a great cocktail. Where do you like to enjoy cocktails during the summer? What is your favorite type of whiskey? We’d love to hear your thoughts! Leave a comment below or use the hash tag #GeekEats! Cheers! The Gladly boasts a big city vibe blended with a relaxing atmosphere. Specializing in warm and memorable service, the follow up concept by the owners of critically acclaimed Citizen Public House was named as one of the “Best New Restaurants of 2014” by Phoenix Magazine. The Gladly showcases Chef Bernie Kantak’s new American take on comfort cuisine. The stylish bar houses more than 230 whiskeys, craft cocktails, and unique ice balls available for an even more extraordinary drinking experience. The Camelback Corridor restaurant showcases its contemporary urban style through floor-to-ceiling windows and an energetic dining experience. *The Geeks attended a media event in order to facilitate this write-up; Information about the menu items was provided to us, opinions are wholly our own. View our Disclosure Policy for more info.